It’s KISS, the famous American Rock Band featuring Paul Stanley and Gene Simmons. Well known for not only their music but also their painted faces, outfits, and elaborate performances. 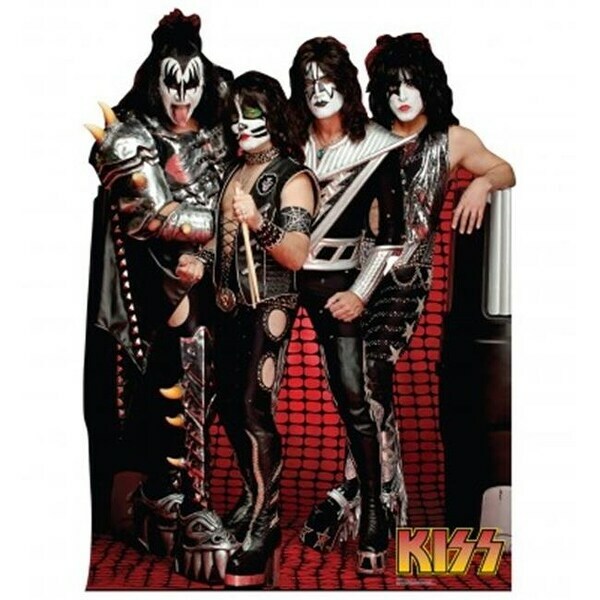 Now immortalized in this cardboard standup so you can “Rock and Roll All Nite” with your favorite rock stars. Size - 66 x 49 in.